The Taylor Power Systems diesel Reefer Generator Set is designed to provide highly reliable unattended continuous operation for all refrigerated ocean going container units in both over-the-road and rail transport modes. 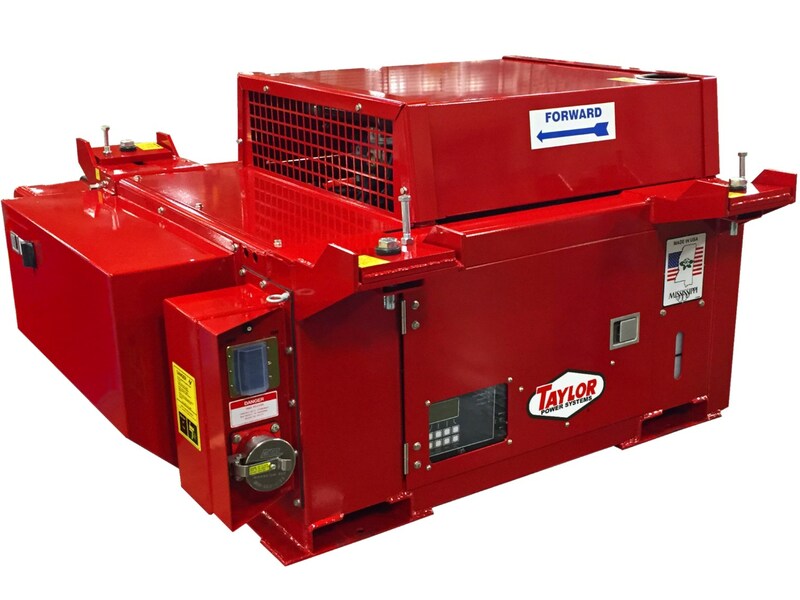 Built to last, Taylor Power uses only the highest quality materials in the production of its Reefer Generator Sets. Each unit is fully load tested to ensure trouble free operations for our customers. 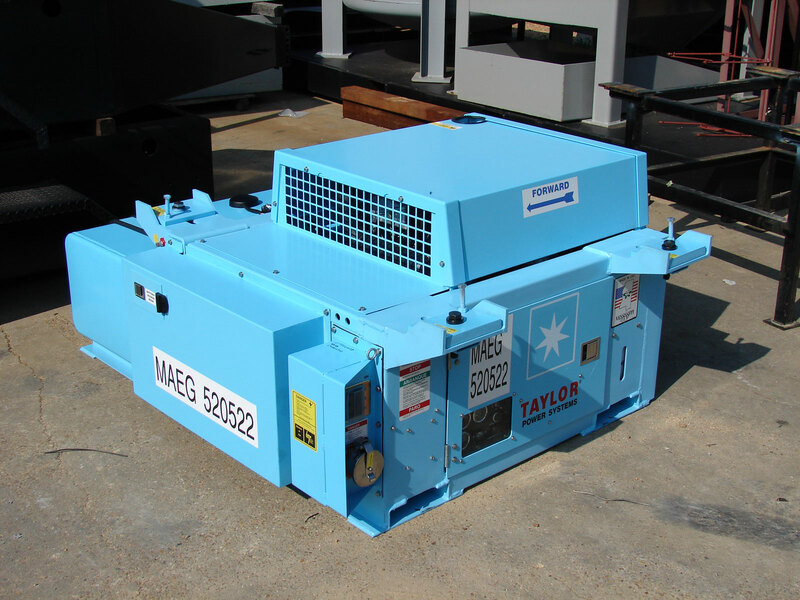 Taylor Power Reefer Generator Sets are designed to mount to a variety of ISO container chassis, and are shipped complete and ready to operate. 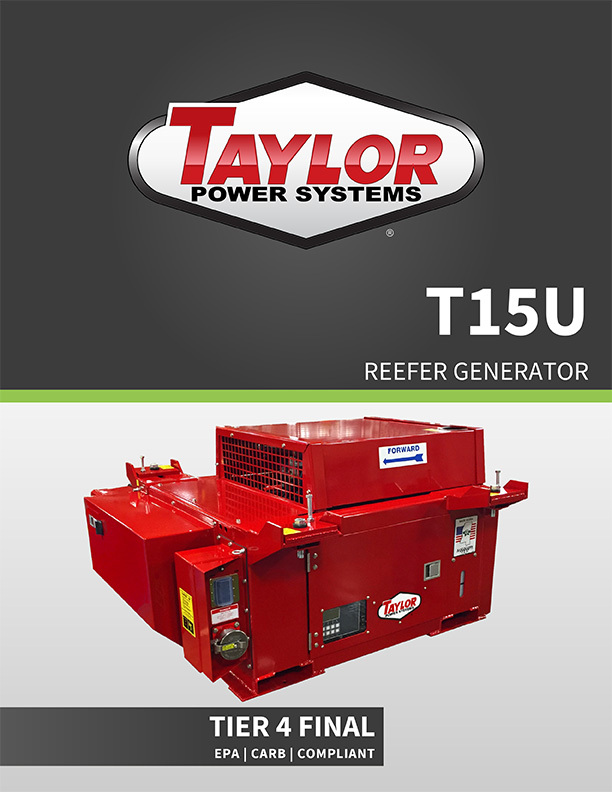 Taylor Power's newest reefer generator line combines our tested and proven design with an EPA Tier 4 Final and CARB emissions compliant engine. 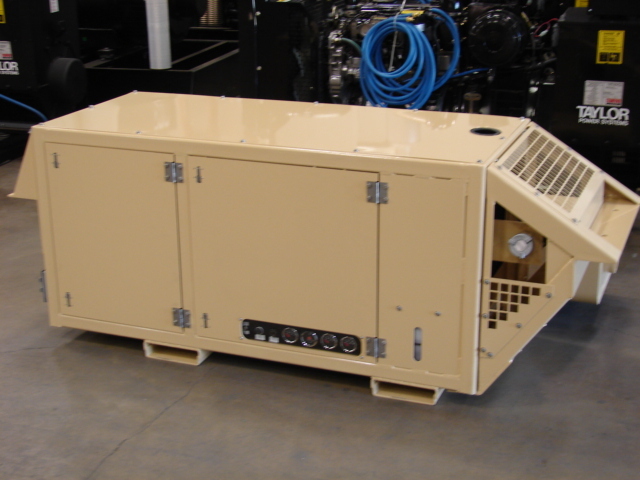 Learn about our reefer/underslung generators. Download a copy of our brochure today! 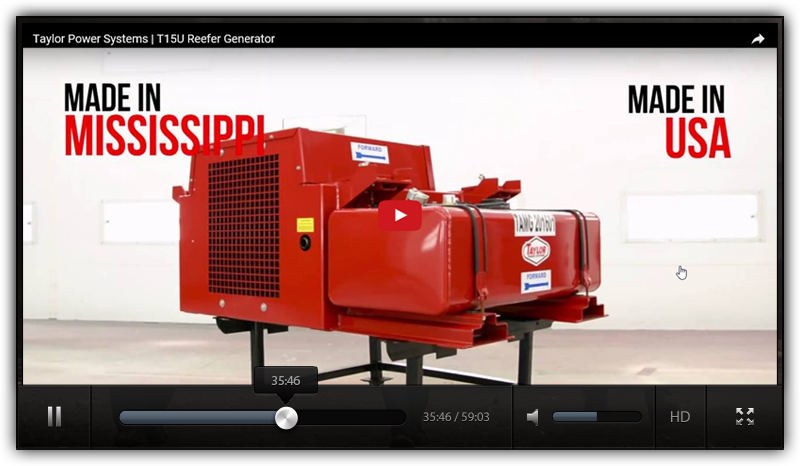 Watch our video about our reefer/underslung generators.